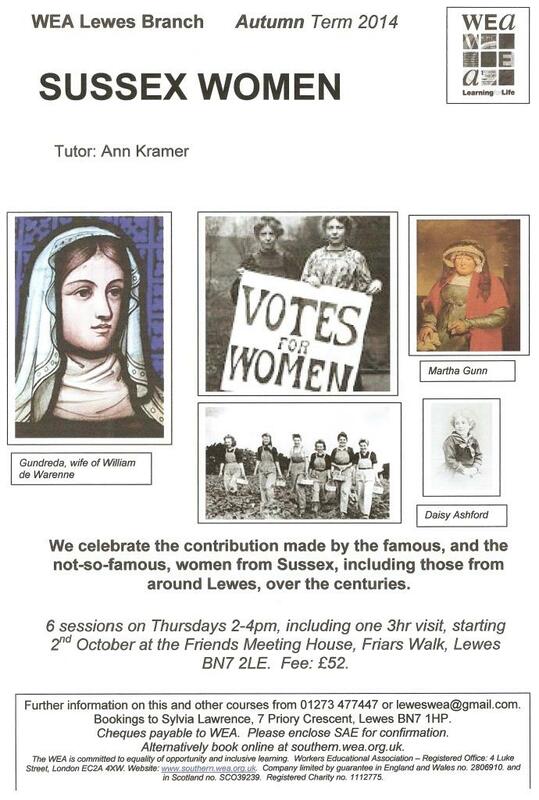 Ann Kramer leads this 6-session course which celebrates the contribution made by the famous, and the not-so-famous, women from Sussex, including those from around Lewes, over the centuries. From artist Vanessa Bell to genteel poisoner Christina Edmunds and trailblazing Sophia Jex-Blake, Sussex has been home to some remarkable women. During this enjoyable course we will explore their lives and marvel at their achievements. Hopefully we may uncover some new names. Where: Friends Meeting House, Friars Walk, Lewes BN7 2LE.